Could now be the time for an electric car? Electric cars can make a lot of sense as a company car. For starters, there's little Benefit in Kind (BIK) tax to pay and running costs are super low thanks to the absense of fuel costs. Additionally, if you live or work in London, you don’t need to worry about the congestion charge either, which can save you up to £3,600 per year. Under pressure to lower carbon emissions here in the UK, the Government is, predictably, a big fan of electric cars and the fleet industry is expected to be a big driver when it comes to uptake. They're not for everyone though, with range (how far you can travel on a single charge) and the availability of electric car charging stations important considerations to take into account. If electric cars do fit your lifestyle, there’s plenty of choice out there. To help you find the right electric car for you we’ve picked our favourites which strike the right balance for practicality, desirability and cost as electric cars for company car drivers. The fourth-generation of the battery-powered Smart Fortwo remains ideal for city dwellers, with its notoriously tiny turning circly (6.95m) remaining, and just one gear. We prefer the electric iteration over the petrol engines, as the 81hp and 160Nm of torque are available from a standstill, meaning this little car is extremely nippy around city roads and away from traffic lights. Smart claims you can get 100 miles between charges. A depleted battery will need six hours to charge to 80% from a normal domestic socket, or two and a half hours from a professionally installed wallbox. From 2018 a version featuring a 22kW charger will reduce this time to 45 minutes – worth bearing in mind if you plan to buy a Fortwo Electric Drive as soon as it comes out. Despite its tiny size, you still have enough legroom for two adults, plus 350-litres in the boot, too. The battery doesn’t take up room as it is hosted under the body in the centre of the car. 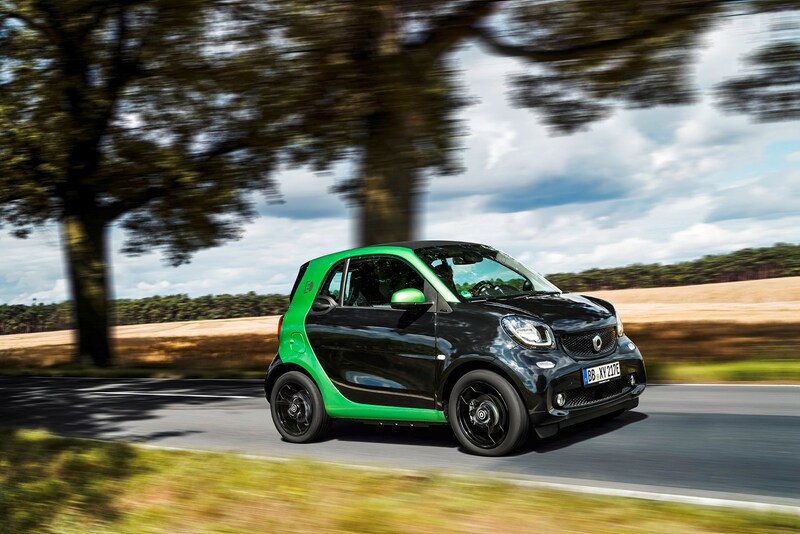 At the time of writing, we don’t have a price for the new Smart Fortwo Electric Drive. 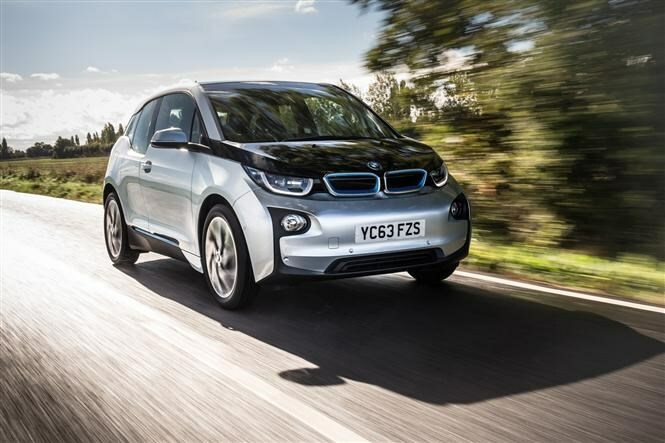 OK, so the i3 is expensive, but it’s also brilliant too. One of the easiest five stars we’ve awarded over recent years, BMW’s first electric car combines funky concept car-like styling with a modern interior and keen performance figures. Like all electric cars, the i3 is subject to a five percent BIK tax band in the current 2015/16 tax year (going up to seven percent for 2016/17) which, despite the high P11D price, helps keep costs very low. A charging time of 10 hours from a domestic plug isn’t too bad either and if you’re travelling away from home it can be 80 percent charged in 30 minutes using a fast charger. Standard kit is generous, with 19-inch alloy wheels, two-tone paint scheme, DAB digital radio, sat-nav, climate control, 6.5-inch infotainment screen, Bluetooth connectivity, rear parking sensors, cruise control and a Driver Performance Control with ECO Pro mode, which helps optimise the car's range, all included. 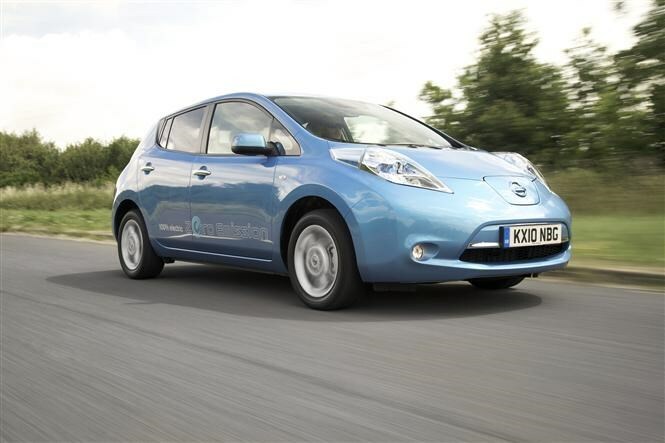 One of the first electric cars to be launched here in the UK, the Nissan Leaf is also one of the most reasonably priced. It’s not the most powerful or practical in our list but as all-round packages go, the Leaf ticks many boxes for desirability, comfort and low running costs. The Leaf is available in the three familiar trims; Visia, Acenta and Tekna. Standard kit on Visia includes Bluetooth connection, four speakers, keyless start, electric windows, air-con and daytime running lights. If you’re after a few more luxuries, middle grade Acenta trim includes a seven-inch colour touchscreen, 16-inch alloy wheels, a reversing camera and cruise control. One of the latest members to the electric cars party, the e-Golf is based on the excellent hatchback but with one big difference: this Golf has a 24.2kWh battery rather than a fuel tank. 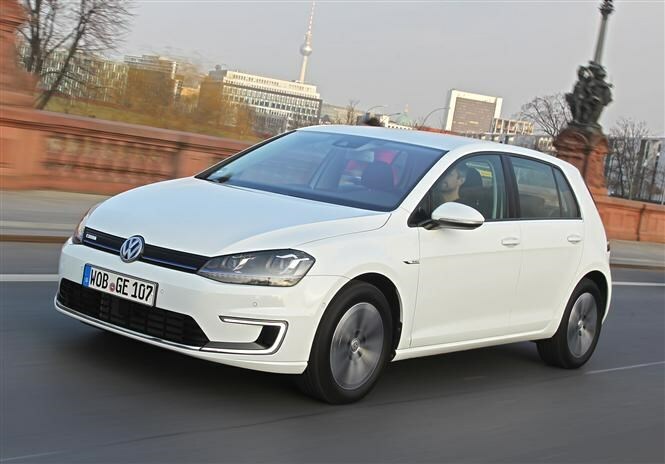 Unlike the majority of the list here, its very difficult to tell that the e-Golf is an electric car, styling enhancements over the hatch are subtle with blue detailing scattered both inside and out. Charging takes around 13 hours from a conventional three-pin socket although getting a wall-box fitted (which is free at the moment) will reduce the time to eight hours. Available in five door form only, the e-Golf’s standard specification is based on the popular SE trim which a couple of extras like two-zone climate control, front and rear parking sensors and sat-nav. >> READ NEXT: Is now the right time for electric cars? 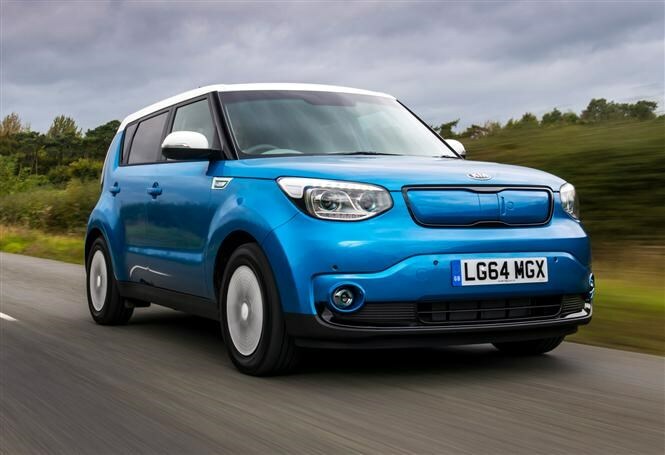 With the same proportions and dimensions as the regular petrol- and diesel-engined versions, the Soul EV is Kia’s first stab at an all-electric car. Fitted with an electric motor which develops 109bhp and 285Nm of torque, 0-62mph is dispatched in a respectable 10.8 seconds. Ideally suited to urban driving, the Soul EV has a range of up to 132 miles on a single charge. Replenishing the battery using a domestic socket will take 10 to 14 hours to recharge, however using a 30 amp wallbox will reduce this time to five hours. Available in a single trim level, standard equipment is good with cruise control, DAB radio, reversing camera, parking sensors, Bluetooth connectivity, eight-inch touchscreen with sat-nav, 16-inch alloy wheels, climate control, heated front seats and heated steering wheel all included. 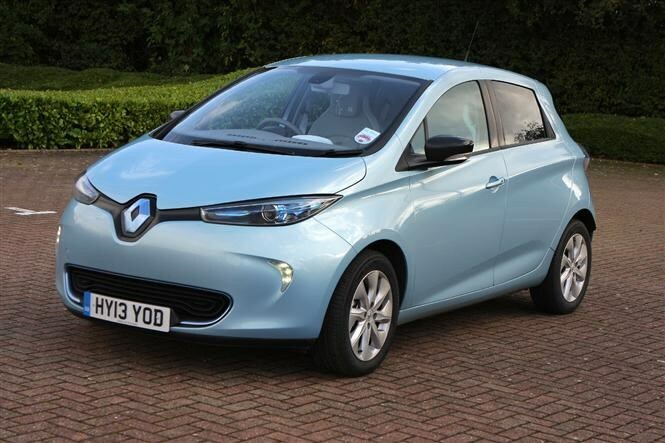 One of the cheapest electric cars you can currently buy, the Renault Zoe is the fourth electric car to be launched by the French manufacturer. One of the reasons for the low starting price is that the battery is leased so will cost an additional £70 per month. Whether or not this is passed to you as a driver or covered by the company varies so its worth finding out beforehand. Available in three trim levels; Expression, Dynamique Zen and Dynamique Intens, as standard the Zoe comes well equipped with 15-inch alloy wheels, sat-nav, seven-inch touchscreen system, cruise control, Bluetooth connectivity, tinted windows and a climate control system which makes it possible to remotely heat or cool down the cabin ready for your journey. **The time it takes to charge an electric car can vary greatly dependant on the equipment at your disposal – this time indicates when it is plugged into the main power display using a domestic plug.